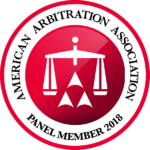 Arbitration is a mainstay of international and labor dispute resolution and, properly managed, a flexible, confidential and comparatively inexpensive alternative for US business to resolve disputes. And yet surveys reflect a significant amount of skepticism. Businesses are concerned about a system where an arbitrator or panel can make errors that cannot be corrected, and often perceive that the costs of arbitration rival those of litigation. There are ways to make arbitration fulfill its promise as a means of dispute resolution. I am a Fellow of the Chartered Institute of Arbitrators, a hearing examiner for the DC Board of Professional Responsibility, a member of the College of Commercial Arbitrators, International Mediation Institute, Straus Institute for Dispute Resolution International Task Force on Mixed-Mode Dispute Resolution and am experienced as an advocate in both commercial and labor arbitration. I seek to bring to arbitration a broader array of dispute resolution approaches and, I hope, a recognition of what makes arbitration work for parties.